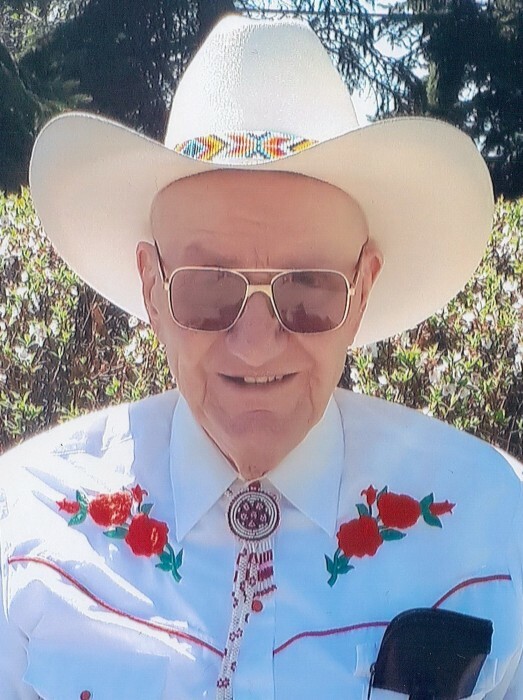 Percy Johansen of Ponoka passed away at the Ponoka Hospital and Care Centre on October 9, 2018 at the age of 89 years. Percy is lovingly remembered by his daughter Sheila Johansen and granddaughter Tyra Cardinal; daughter Cindy Ward (Paul) and grandchildren Matthew, Shayna (Joedy), Colin, and Marianne; sisters Lorraine Gibson (Doug) and Joan Berg (Kai); sister-in-law Marlene Petersen; brother-in-law Roy Petersen (Darlene); as well as numerous nieces, nephews, and cousins. Percy was predeceased by his wife Gudrun; parents Martin “Kris” and Nina Johansen; his infant sister Vera, aunts, uncles, cousins, and nephews. A Memorial Service will be held on Monday, October 15, 2018 at 1:00 p.m. at the Trinity Evangelical Lutheran Church. Donations in Percy’s memory can be made to the Ponoka Wheelchair Van Society, Ponoka Food Grains, S.T.A.R.S., or any charity of your choice.